Helpful, professional, and efficient in all that they do. I loved working with the team at DatAcheive Digital because they listened to what I wanted my product to look like and gave me great customer service. The word resolute is defined as “determined, purposeful, unwavering, and persistent.” Resolute Counseling was founded in 2015 by Michael Linn who believed that the word resolute described his approach to counseling practice. Taking a holistic health approach, Resolute Counseling aims at improving mental health through the promotion of social health, physical health, and spiritual health. 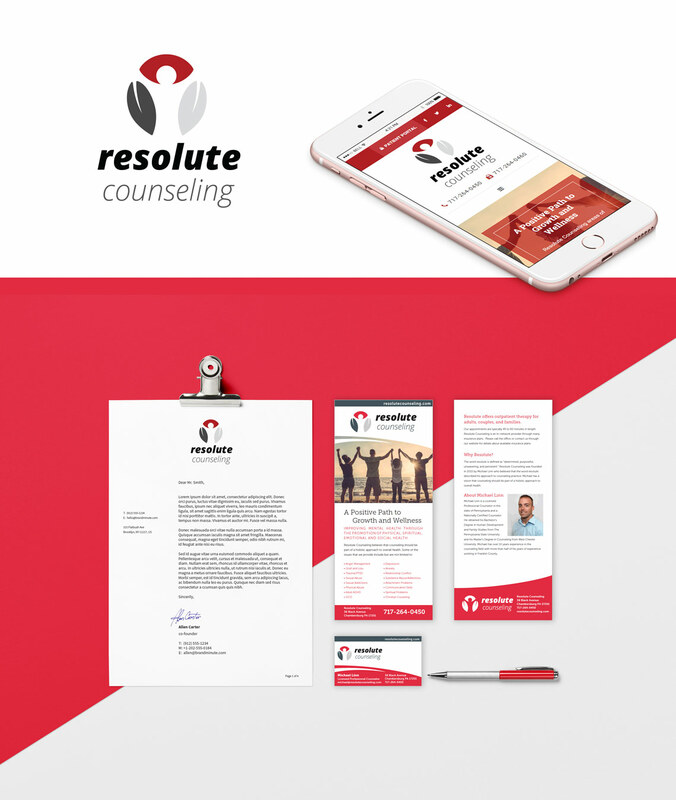 As a new practice, Resolute Counseling was in need of a complete identity that would quickly convey its approach to treating the “whole person” as part of its counseling services. It was important that the new identity convey the strength of both the individual, and the strength that comes from cooperation and community. Finally, the new identity had to be seamlessly integrated into the practice’s new website, print collateral, and signage. DatAchieve provided Resolute Counseling with a logo design that featured a circle of leaves that outline a person in the negative space. The design represents the idea of growth and renewal as well as Resolute’s holistic approach to treating the whole person and underscores the Resolute definition, “determined, purposeful, unwavering, and persistent.” In addition to branding, DatAchieve provided Resolute with web development, social media integration, and print design services.